Look 5 to 10 years younger with HIFU. Working with high intensity focused ultrasound energy, HIFU is the next generation in advanced, non-invasive facial lifting technology, penetrating to depths only previously possible with cosmetic surgery. 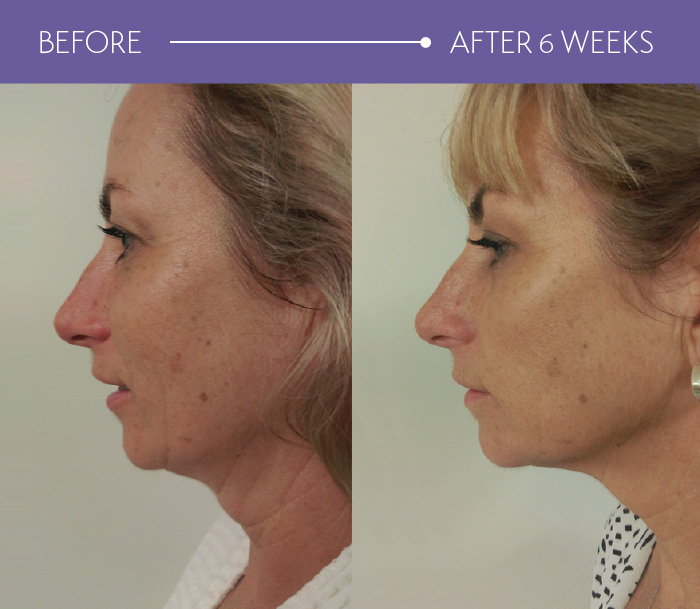 HIFU Facial Lift treatments target deep into the dermis and foundation muscle layers of the skin … at 3.0mm and 4.5mm … working at the same depths as a surgical face lift ! In a full HIFU Facial Lift treatment, we deliver a matrix of up to 6,000 micro shots of HIFU energy into the skin. Each micro shot stimulates the body’s own natural repair response, tightening muscle and creating a new matrix of collagen that gently lifts the skin, improving the tone of all the key facial features. Areas that can be treated include around the eyes, forehead, cheeks, neck, chin and jowl areas; smile lines are softened and nasolabial folds reduced. 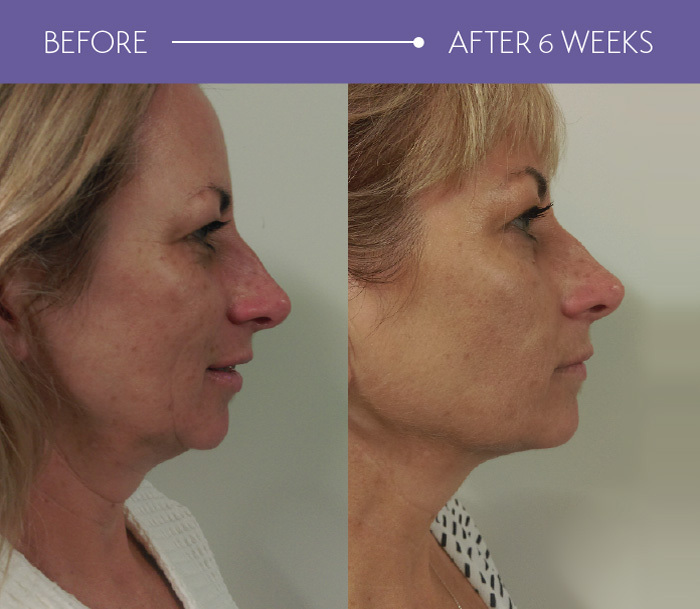 Best visible results are seen after 6 to 10 weeks, with continual on-going improvement up to 6 months as the new collagen matrix reaches it’s full strength. In the HIFU Glow Facial we target the upper layers of the skin at a depth of 1.5mm. As new collagen regeneration is stimulated by the HIFU energy, fine lines and wrinkles are erased, leaving you with a naturally radiant, fresh, plumped and more youthful skin… with no needles and no downtime! Body areas which are treatable with our HIFU technology includes the abdomen, buttocks, inner and outer thighs, hips, ‘back-fat’ and under the arms.